Over the years, our country's tailings recycling is not a lack of progress, but how to improve the comprehensive utilization of tailings.Tailings comprehensive utilization is low, a direct impact on the surrounding environment, caused the waste of resources.Yifan machinery based on the current tailings utilization low, developed the mobile crusher by the numerous project practice has proved that in the treatment of recycling tailings resources, construction waste, etc, the effect is significant. Yifan mobile rock crusher continuously into the outstanding achievements in every field of human, adapt to the need of the national economic development major, guided by the scientific outlook on development, achieve sustainable development.Comprehensive utilization of tailings is the general trend of reduction, recycling, harmless, the ultimate goal is to build "no waste mining", namely the tailings zero emissions.Yifan mobile crusher on the recycling of mineral tailings good interpretation of the zero discharge of tailings, comprehensive utilization of tailings resources, make waste, get hurt for profit. 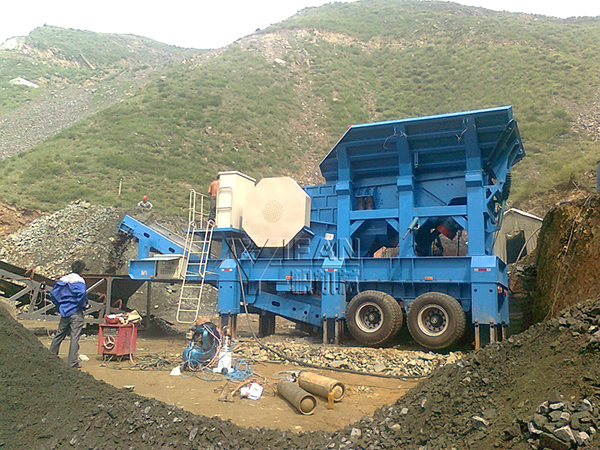 With the rapid development of industrialization in our country, the production of mineral resources will increase, but with the depth of the mineral resources development, concentrator are bound to discharge a large amount of tailings caused serious pollution and harm, and at the same time bring the waste of resources, safety, high operating costs problems.At present, the rich ore was gradually reduced, the resource increasingly drying up, the environmental pollution has become increasingly serious. Concentrator of yifan machinery equipment co., LTD., the heart of global companies should step up the pace of independent research and development of mineral processing equipment, keep up with the pace of The Times, constantly adjust the industrial structure, taking a long time, fill yourself short, enable us to develop a preparation equipment export power.